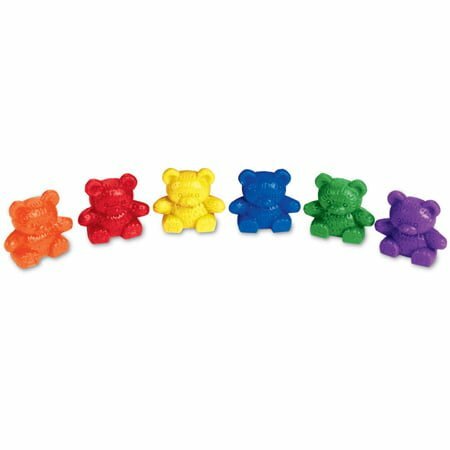 The littlest of the Three Bear Family® Counters is 1″ tall, weighs 4 grams and comes in six bright colors—just right for counting, sorting, color recognition, patterning and measurement activities. Set of 102 packaged in a convenient storage bucket. Includes Activity Guide.